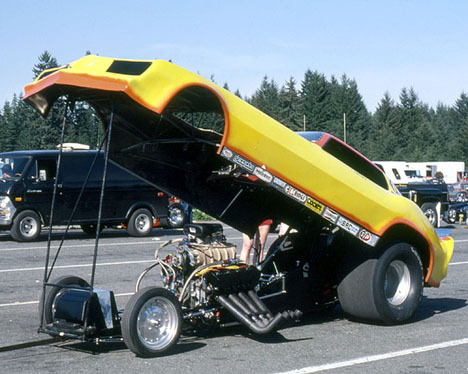 One of the Northwest’s best fuel racers for almost two decades was “Gentleman” Hank Johnson. 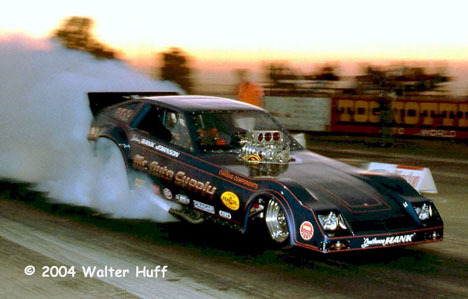 Hank began in top fuelers, then raced both fuelers and funny cars for a while before finally settling in floppers only. 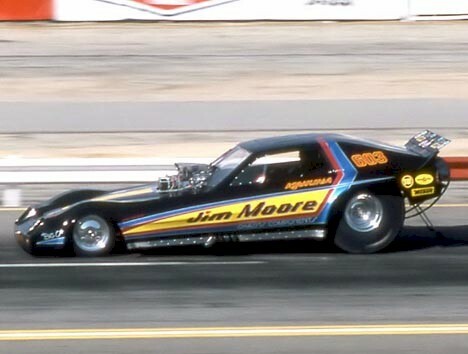 The Mr. Auto Supply Parts Stores sponsored Johnson for most of his career, including his last AA/FC, this beautiful Omni. Al Swindahl built the car in 1981. 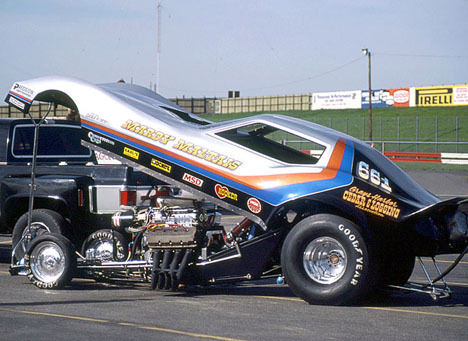 It featured a ½” stroke Keith Black Hemi like most of the other funny car racers of the early eighties. Johnson ran the Omni for two years until the end of 1982, running a best of 6.13 at 233. 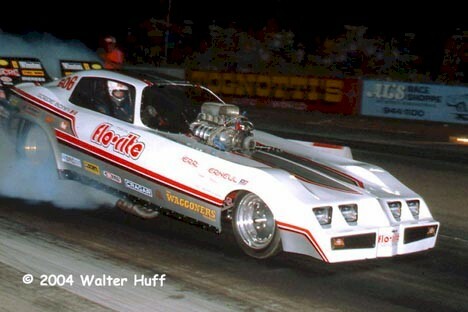 In 1983, Johnson left the nitro ranks and built a new TA/FC Firebird that he raced until he retired. (Photo courtesy of Walter Huff ; info from Draglist files). 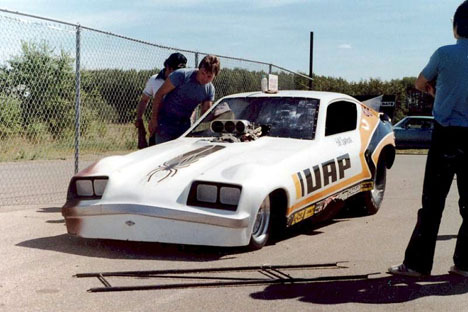 Mike Miller had raced funny cars since the late sixties before this Mustang came along. 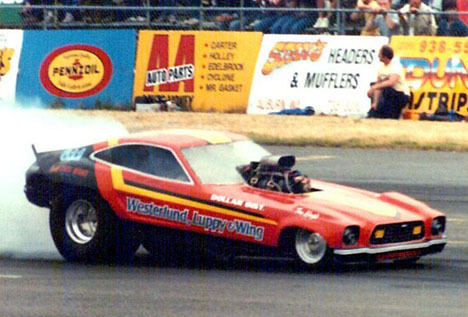 Mike joined the funny car beer wars of the eighties by getting the famed Northwest brewery Olympia Beer to sponsor the car. 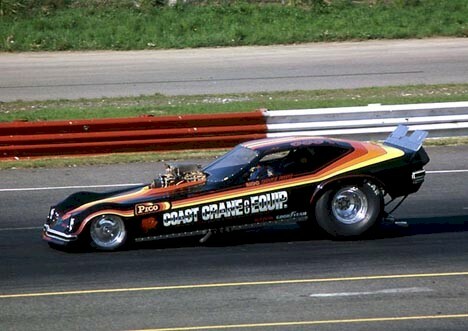 The Olympia Brewery had sponsored Don Prudhomme and Herm Peterson in the past. 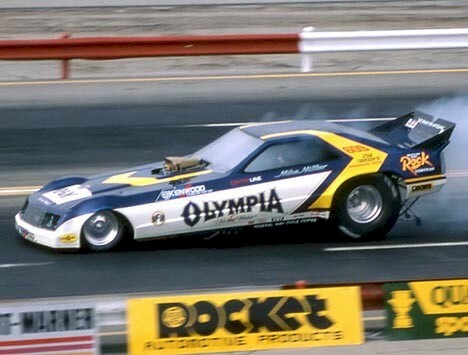 Miller raced the Olympia Beer Mustang from 1980 to 1984, where he was a regular on the West Coast with the beautiful car. 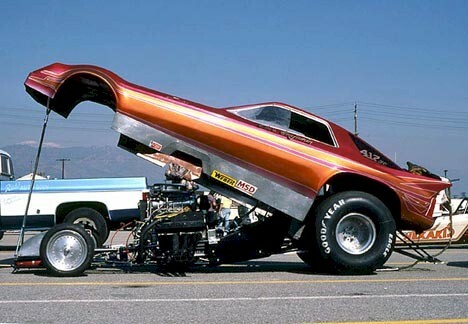 Mike had moderate success with the ½” Keith Black Hemi powered car, running best times of 5.92 at 243.24 according to Draglist files. This was Miller’s last ride before retirement. (Photo courtesy of Mike Ditty; info from Draglist files).